Utter perfection on Princetons historic Nassau Street. 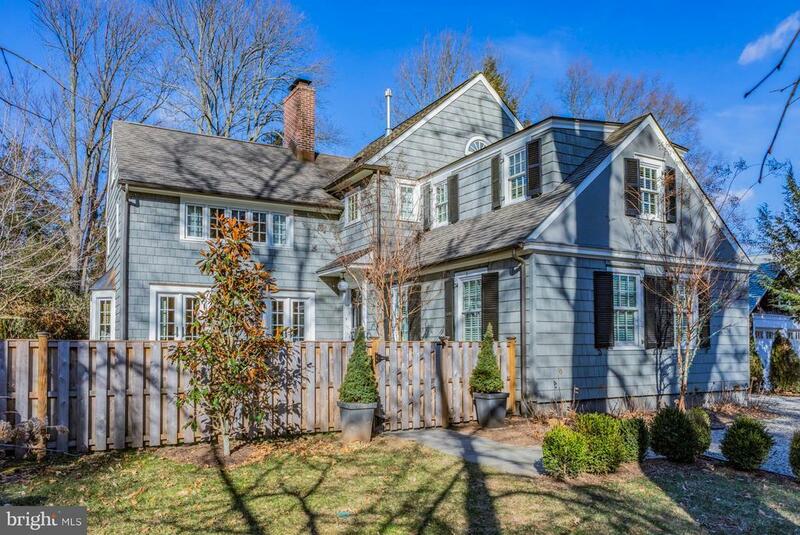 Completely renovated just 2 years ago, this in-town beauty showcases the talents of its designer/homeowner, with shingled charm, a pretty frame of hydrangea and arborvitae, and just-right space with easy flow. Modern interiors sparkle with fine finishes and fixtures, hardwood floors, and new Pella windows. The chic living room is an atmospheric refuge with a wood-burning fireplace, pair of French doors to one of 2 bluestone patios, and a novel-friendly window seat. A sliding barn door reveals a family room large enough for movie night. An outfitted mudroom also handles laundry; a new half bath is nearby. Elegant in white and gray, the open dining room and kitchen boast of-the-moment touches like stainless appliances, Caesarstone counters, and a pull-up island. Upstairs, one wing holds a private, luxurious master suite with a marble ensuite; another groups 3 bedrooms and a beautifully tiled bath. Princetons eateries, shops, and schools are an easy stroll away. New HVAC and not a thing to do! Inclusions: Washer, dryer, window treatments and light fixtures as exist.